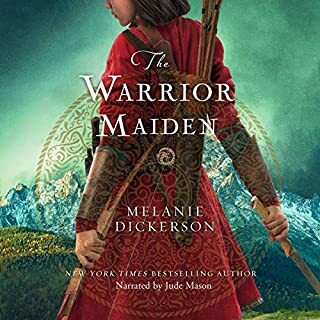 When Mulan decides to take her father’s place in battle against the besieging Teutonic Knights, she realizes she's been preparing for this moment her whole life - and that her life, and her mother’s, depends on her success. As the adopted daughter of poor parents, she has little power in the world. If she can’t prove herself on the battlefield, she could face death - or, perhaps worse, marriage to the village butcher. In her disguise as a young man, Mulan meets Wolfgang, the German duke’s son who is determined to save his people even if it means fighting his own brother. 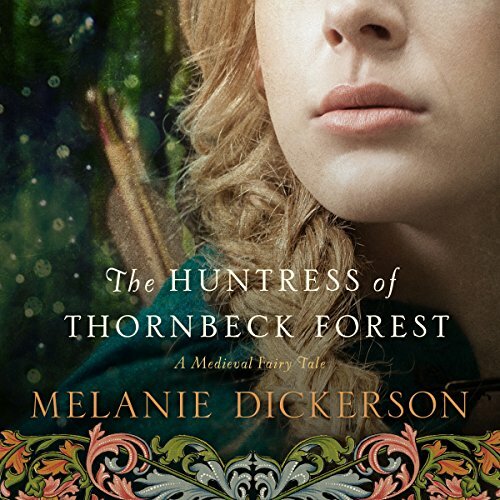 From New York Times best-selling author Melanie Dickerson comes a fresh reimagining of the classic Pied Piper tale. A plague of rats. Children going missing. A giant beast attacking just outside the walls of Hamlin. And one young woman determined to save her town. Swan Lake meets Robin Hood when the beautiful daughter of a wealthy merchant by day becomes the region's most notorious poacher by night and falls in love with the forester. Odette justifies her crime of poaching because she thinks the game is going to feed the poor, who are all but starving, both in the city and just outside its walls. But will the discovery of a local poaching ring reveal a terrible secret? Has the meat she thought she was providing for the poor actually been sold on the black market, profiting no one except the ring of black-market sellers? 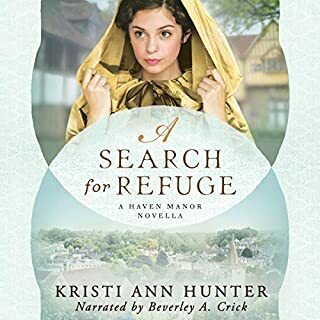 The one person Odette knows can help her could also find out her own secret and turn her over to the margrave, but she has no choice. Jorgen and Odette will band together to stop the dangerous poaching ring...and fall in love. But what will the margrave do when he discovers his forester is protecting a notorious poacher? While the basic premise of the story was charming and intriguing, the execution, both in writing and especially in performance, was lackluster. The narrator read in one long stream without appropriate emotional voice inflections or any attempt to clarify which character was speaking a given line of dialogue. Overall, I'd pass on this one. I disliked the narrator's performance. Her cadence made it difficult to understand changes in character. I wish I had listened to the sample first. I never would have wasted my credit. The story plodded along, and the characters were all very predictable. 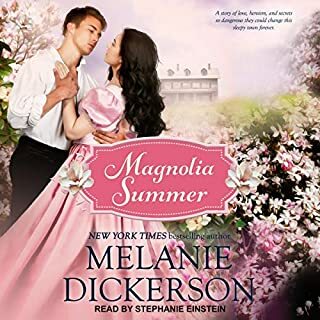 Try something else by Melanie Dickerson. The story is a good one but the narrator is monotone with run on sentences. No voice inflection to indicate character changes. I'm going to finish the book but will make sure never to buy a book from this narrator. I'll have to get the text version. I usually enjoy Dickerson's takes, but this narrator...terrible. She makes it sound like an elocution exercise, not a narration. Her slow, prodding, emotionless voice makes the text sound stupid and inane. I'm disappointed. But I'm still planning on getting the text version of the book! I just couldn't listen one minute longer! The narration was terrible. There was no differentiation between characters which left me constantly guess at which character was speaking. The narrator was monotone and never took a breath. There were times I had difficulty following the action because she read it without pausing. It felt like a huge run on sentence. But I liked the story. I really enjoy Melanie Dickerson's interesting twists on well known stories. The reader really needs to work on her craft. It is almost impossible to listen and follow along. I really hate giving negative reviews because I am being critical of someones hard work. 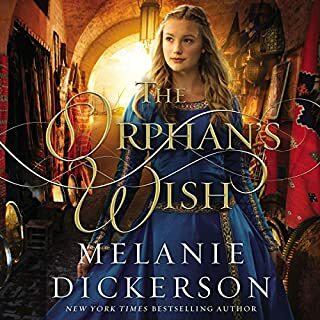 I am a fan of Melanie Dickerson's work and emphasize this review is in no way disparaging her writing. What didn’t you like about Jay O'Shea’s performance? No inflection at all. No pauses between book title, chapter titles, sentences. Her voice was very pleasant, but because of the monotone my brain just could not latch onto anything happening. I know that a wide range of readers exist -- but this was really disappointing. 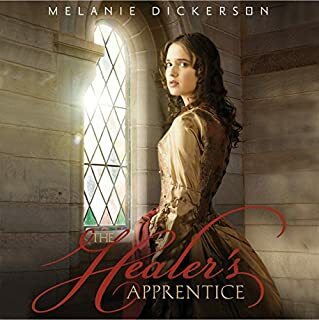 I couldn't even get through the first chapter of this Audiobook (my 'story' rating was what I expect from a Melanie Dickerson book, as it wouldn't let me proceed without). I would just like to say that Audiobooks are far too expensive for companies to expect readers to listen to an entire book in such a monotone. I usually check the 'performer' comments before I buy, and I have learned that I will definitely not buy another without doing so again. I'm sorry to say this narrator just didn't do a great job. Her rhythm was so inconsistent that sometimes I couldn't even follow the story. My daughter heard it and agreed that the reader had no inflection in her voice and was quite monotonous. The story itself was pretty good, I guess, but it was hard to follow since I was so annoyed at the reader. Don't waste your credits, just buy the e-book. Great story, terrible voice talent. It took half the book before I could get used to the voice talent and ignore it. The story however is great and I will be listening to the rest of this author's books.